a non-profit organization to connect people through lending to alleviate poverty. Kiva lets individuals lend as little as $25 to help create opportunity around the world. June 9-11, Grand Bend Motorplex, ON was the second round of the 2017 Canadian Superbike Championship. It was the first time for the series to race at the venue. The CSBK team did a good job adapting to the facilities and overall it worked well. "I have never been to this track before" said Stacey. "It is a little narrow and bumpy, but that is the same for everyone. I enjoyed it". The weekend got off to a bumpy start - literally. Exiting the track at the end of the fast runway back straight Stacey was able to scrub off enough speed resulting in a lower speed crash. She was able to ride back to the pits and the crew had the BLKRDR by Motovan/FTR CBR600RR repaired, re-teched and ready to go for the next session. (Photo Credit: TMStudios Photography - Stacey Nesbitt (316) ahead of Frank Trombino (31) through turn two). The weather was hot and sunny for most of the weekend. Stacey qualified 11th for the Liqui Moly Pro Sport BikeSport class. 9th to 13th was covered by 0.3 seconds. Obviously Stacey wanted to be further up the grid but she was improving lap times in each session. She qualified 20th in Mopar Pro Superbike. Sunday was race day. Stacey got a good start in the Liqui Moly Pro Sport BikeSport race and had moved into the top ten. The race was red flagged on lap two due to a crash out of the fast last turn. "Jacob went down pretty hard in front of us. Fortunately he was relatively ok" said Stacey. Not as good a start in the restart but Stacey had again moved into the top ten and was gaining on the riders in front of her. She was forced to retire before mid distance with a mechanical issue. "I was very disappointed to DNF as I think a top six was possible today". 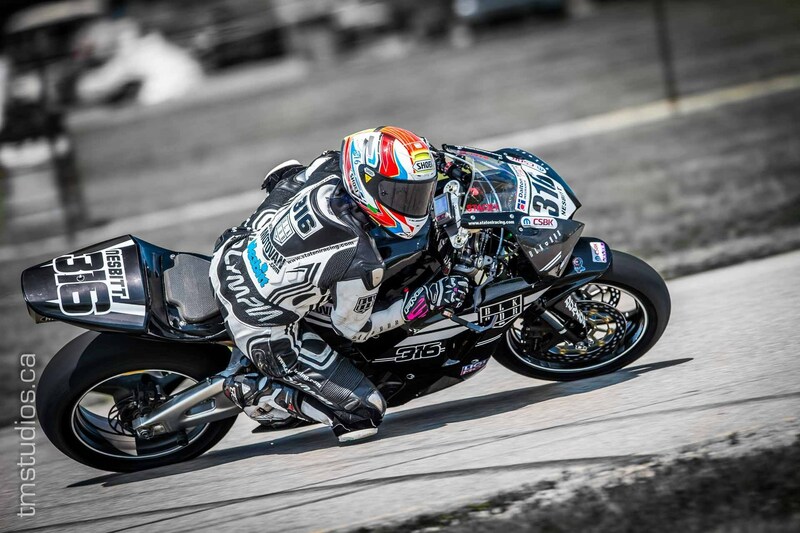 Stacey got a good start in the Mopar Pro Superbike and had a good battle with one of the local SOAR racers. She retired form the race after half distance. She did improve her lap times again in both races. "Racing the 600 against Superbikes is a difficult but I value the track time and always try to learn something from them every time". Thank you to Motovan Inc (BLK RDR program) and sponsors. Thanks to Jon Cornwell for improving the bike set up throughout the weekend. Thanks also to Frank Trombino for his help on and off the track (congratulations Frank on winning the Liqui Moly Pro Sport BikeSport race). 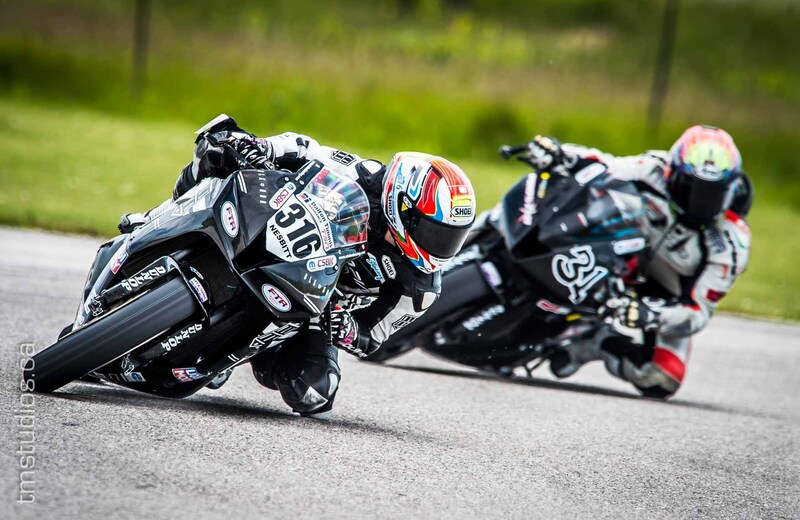 The next round is closer to home at Autodrome St-Eustache, QC, June 23-25.